Statehood Movement-led by KCR damaged the Telugu Desam Party very badly in Telangana. It has come to the stage that the existence of the party is being questioned on many occasions. The 35-Year-Old Party managed to win only 2 seats in the recent Assembly Polls. Even those Two Legislators might shift loyalties to the Ruling TRS anytime soon. Chandrababu Naidu's Two Eye Strategy during the Telangana Movement failed miserably. TDP hasn't gained any mileage even after issuing a letter in favour of the statehood. KCR branded TDP as Andhra Party and even Telanganites accepted it. All the prominent Leaders began quitting TDP since 2009 and the situation turned worse after 2014 Elections. Appointment of L Ramana as Telangana TDP President after the formation of statehood hasn't yielded any results. TDP faced huge defeats in GHMC and Assembly Polls. Chandrababu Naidu is now contemplating on changing the leadership before the 2019 Lok Sabha Polls. 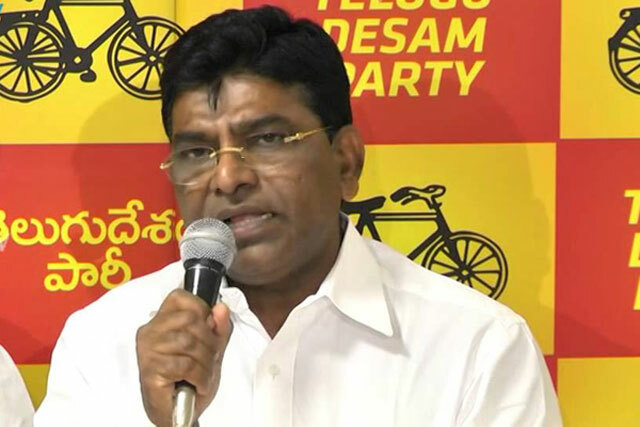 Nama Nageswara Rao could be replacing L Ramana as Telangana TDP President. This Senior Leader had unsuccessfully contested from Khammam Assembly Segment in the recent elections. How could he strengthen Telangana TDP? Florida Gun Violence: At Least 5 Killed!